This is a classic Cognac-based Cocktail. First appearing during the First World War it soon became a popular and sophisticated Cocktail to be seen with. 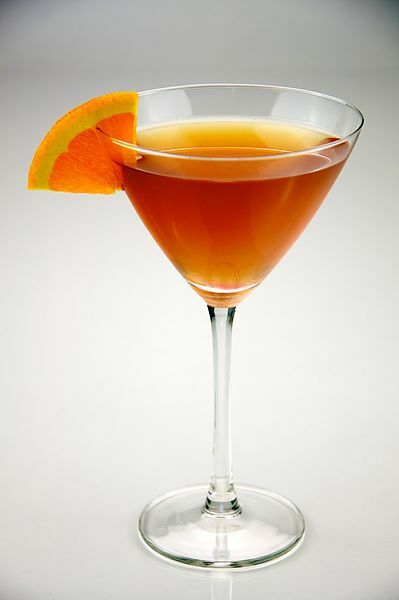 What could be simpler and appealing than just three ingredients - Cognac, Triple Sec and freshly squeezed lemon Juice. Named after a motorcycle passenger's seat, during the 1920's it had an air of 'danger', excitement and even nostalgia. First appearing in Cocktail recipe books as early as 1907, there are two possible claimants to the title of creator and inventor of this superb and elegant Cocktail - Pat MacGarry of Buck's Club in London and Harry MacElhone of the Ritz Hotel in Paris. However, there is a third possible contender, perhaps not the actual inventor but the inspiration. David A. Embury in his celebrated 1948 Cocktail Book, " The Fine Art of Mixing Drink" claims it was named after an American Army Captain stationed in Paris; "named after the motorcycle sidecar in which the good captain was driven to and from the little bistro where the drink was born and christened". Like all 'classic' Cocktails, once it has been hailed as a masterpiece - then the disputes start as to who actually first created it. The original recipe called for 'Orange Liqueur'; this could be Cointreau, Grand Marnier or Triple Sec. Try all three versions and see which you like.